It is clear that Valentino Rossi intends to keep running while the body endures. The pilot does not plan to put an expiration date on his sports career, although he will finish his current contract with 41 years. But in a recent interview with an Austrian television, he talked about his future and his intention to create a Yamaha team with his name in the world premier class: “We could organize a team in MotoGP with Yamaha”, says the #46 Valentino Rossi in this regard. Unlike the teams in Moto2 and Moto3, which has been running for years in the lower categories, Valentino Rossi does not want to create a MotoGP team while he is still running as an active rider. On the Dream Team created by Alberto Puig in HRC for the next season, Rossi believes that “it will not be easy to ride, because Jorge Lorenzo is a very strong rider, and he is also off the track”. And he knows what he’s talking about since he was a neighbor of Lorenzo’s box for seven years at Yamaha and during that time they had a relationship that started being very complicated (with the famous wall that separated his Boxes) and ended up being something more cordial. 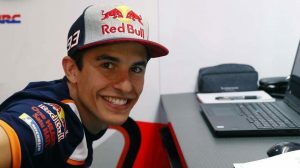 However, the doctor has gotten wet and has acknowledged that “honestly, if I were the director of a MotoGP team, I would like to have Márquez and Lorenzo in the same box”. 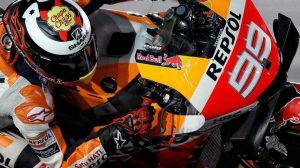 On his current relationship with Marc Márquez, an intimate enemy since the famous #Sepangclash of 2015, the doctor recognizes the obvious: “the relationship is difficult, but he is also a great pilot”. Valentino Rossi has his own team in the Moto3 world championship since 2014, and he has had a Moto2 team for a couple of years now. 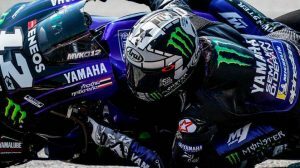 In fact, the nine times world champion is in a position to obtain his first world title this year as owner of the SKY Racing VR46 team with Francesco Bagnaia, a provisional leader in the Moto2 standings.